Just a reminder that we have a new dismissal time this year. We now dismiss at 3:15 for all levels. Please be mindful of this. When parents pick up 20 or 30 (or more) minutes early each day, they deny their children valuable learning time. We still provide a 15 minute grace period. All students that are not picked up by 3:30 will be charged. Highland has just started our Annual Fall Fundraiser. Your child should have received their fundraising packets this week. If you need one please see Mr. Brian. 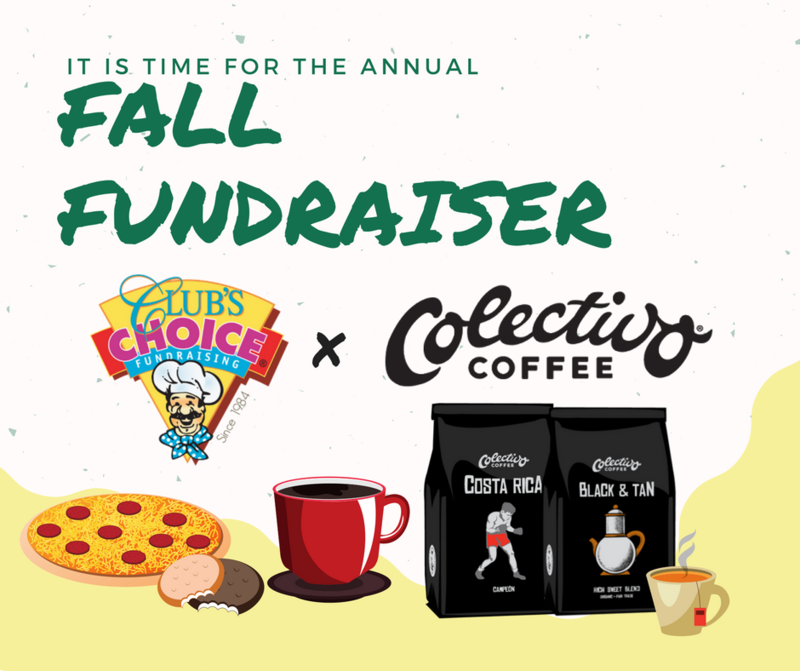 This year we have decided to do a Club's Choice Fundraiser and compliment it with Colectivo Coffee. Delivery date is Friday, November 10th. **Note: Colectivo sales do not count toward Club's Choice prize promotions. If you have any questions, please see Mr. Brian. 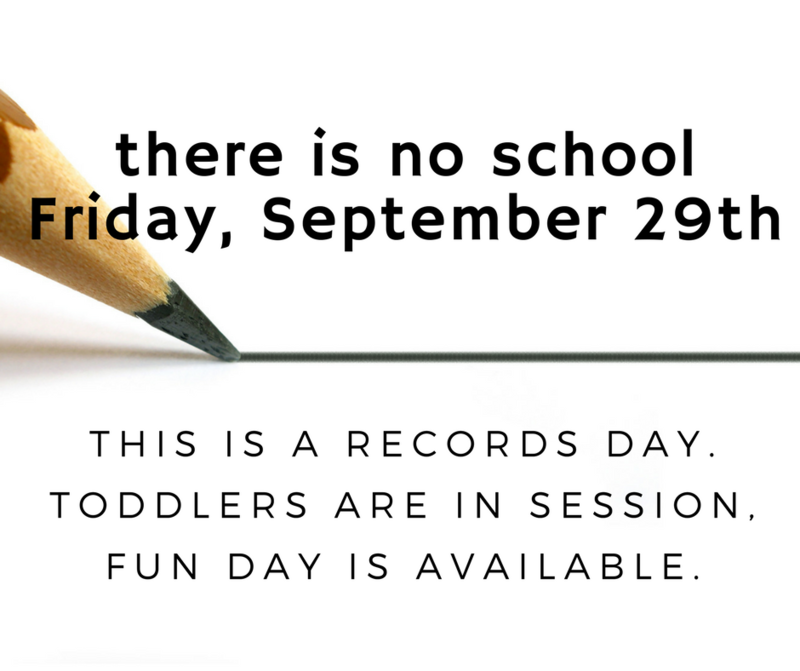 Picture Day is Tuesday, September 26th. If you are interested in purchasing pictures, yearbooks or class photos please return the Picture Day Form on or before September 26th. Forms that went out earlier this week should be returned to the classroom teachers; if you need one click the link below. **If you are interested in your child/ren taking group/sibling photos, that will take place on Picture Makeup & Re-take day Thursday, November 9th. Parent Ed: "Bedtime without the Bother"
We ask that parents participate in bringing in a snack when they are on the rotation. The snack is delivered to all the classrooms so that kids have access to healthy foods throughout the day. We can't offer this to kids without you. Would you like FREE DINNER for you and your child every Monday night? Is your child aged 10-14? If you answered YES to both questions, you’re in luck! 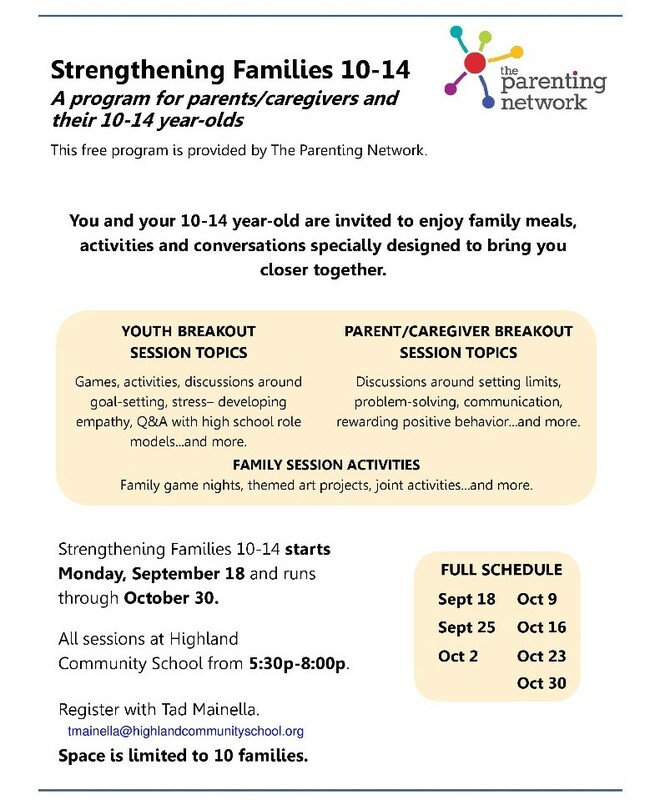 Highland is hosting the Parenting Network’s “Strengthening Families” every Monday night from September 18th through the end of October. “Strengthening Families” is FREE for Parents/Caregivers and children aged 10-14, including FREE DINNER for 6 straight Monday nights, starting September 18th. Please contact Mr. tad @ tmainella@highlandcommunityschool.org to sign up…HURRY, space is limited. First 9 families to sign up are in! Would you or maybe your employer want to support Highland’s first Craft Beer Tasting Fundraiser happening on Nov. 4th? click here to download the Corporate Sponsorship form. Sponsorship includes tickets to the event and your company’s logo on all promotional items, print, and web! 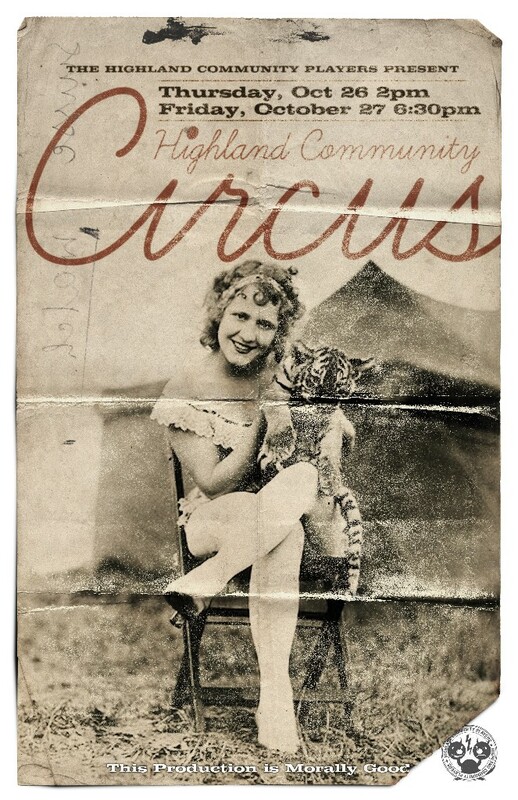 What a great way to reach the public and support all the wonderful things Highland does to bring together the community! Email jpahnke@highlandcommunityschool.org with questions. Are you looking for an opportunity to create collaboration within the community to strengthen and promote conversation? The Greater Milwaukee Foundation is encouraging Highland to host a mealtime fundamental discussion on Tuesday, Oct. 17th, inviting people from our community to participate in a meaningful conversation over breakfast, lunch, or dinner. Highland is looking for parents that would be interested in planning and implementing this wonderful collaboration event! 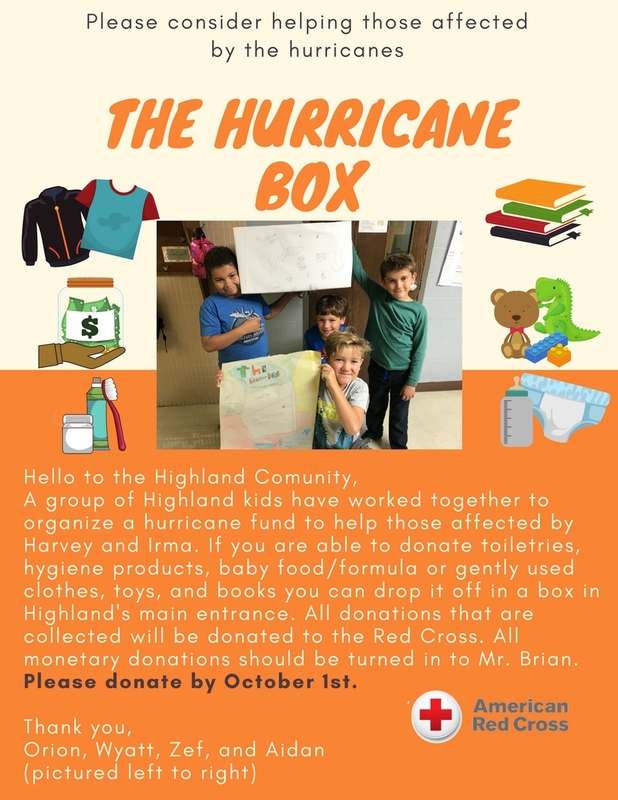 Contact Brian brdewindt@highlandcommunityschool.org if you are interested. For more information, and the "Host On the Table Toolkit" click here.